After a long hibernation, the SWISportsCorner podcast is back. The main topic for the show is about track. There's a lot of track talk. In fact, the guys talked about the 400-meter hurdles race for some reason. Tune in and listen to the guys talk about the state qualifiers. Of course, the guys talked about this on Saturday night, before the Heat and Lane Assignments were released. So there's a lot of talk with words like TENTATIVE and stuff. The guys also showed off their knowledge of former Soviet Republics. It's another action-packed show, as you can tell. It's time for another edition of the SWISportsCorner podcast. The main topic for the week focused on boys basketball. With the season over with, the guys talked about the district tournament. The guys also talked about grocery stores and other stuff. They wrapped the show with a discussion of the All-Conference teams. However, Matt got cut off due to technological issues. So the talk didn't last very long. It's a fun, entertaining show that you should check out. Matt, Jason, and Andrew are back for another edition of the SWISportsCorner podcast. After a couple weeks off, the guys get back to talking about sports. Granted, they started the show with Andrew reading some old tweets from Jason. The guys spent much of the show discussing postseason basketball, including this week's upcoming games. There was also a little talk about girls basketball and wrestling. Finally, the guys wrapped up the show discussing which Winter Olympic events they can do without dying. As always, it's a fun show. The SWISportsCorner podcast is back and giving you all the Brons Visockis talk you could ever want or need. No really, that's how Matt, Jason, and Andrew started the show. There was a lot the guys talked about. The new entrants into the 1,000 point club, along with the lack of dunking. Andrew casually suggested that Matt should be a dunk contest judge at the next March Mayhem event. The guys also talked about the girls' basketball regional tournament brackets, taking a look at both 1A and 2A brackets. Football was a big topic as the guys tried to read over the new postseason football plans. There's a lot of talk about the RPI. It's a fun show that you should check out. Another week, another edition of the SWISportsCorner podcast. Matt, Jason, and Andrew are back with another episode. The big topic of the week is the Corner Conference Basketball Tournament. The two champions were Sidney for the girls' tournament and Stanton for the boys. Of course, the guys also spent much of the show talking about...Brans Visakis? Bronze? Brauns? Jason assures everyone that he does indeed exist and competed in the Corner Conference. We're all very curious and if you have any information, feel free to send it to us at our Facebook page. It's a New Year and what better way to start it than with a new episode of the SWISportsCorner podcast. Okay, we might two weeks into the new year, but hey, we're still catching up. Matt, Jason, and Andrew are back with another jam-packed edition. The big topic is obviously the Corner Conference Basketball Tournament, which kicks off Monday night. The guys talked a bit about both tournaments. Of course, the basketball talk was layered in between discussions about game shows, pub quizzes, hills to sled down, the Wapsipinicon, and much more. The guys are back with a podcast. Matt, Jason, and Andrew took some time to wrap up the remainder of the fall sports season, as well as discuss the Fall Sports Athletes of the Year. The guys also took a little time to talk about the basketball season. And of course, they got off topic. It wouldn't be a podcast if they didn't get off topic. The guys talked about the generational names, elf on a shelf, and so much more. It's that time again! Yes, we have another edition of the SWISportsCorner podcast. Matt, Jason and, Andrew talk about the latest going on in the fall sports season. They talked about wooden shoes and so much more. Okay, the guys also talked about the football playoffs. Fremont-Mills won the rematch against Sidney to advance to the UNI-Dome (or the Dome, if you really want to get all fancy). They also talked about Fremont-Mills' opponent, St. Mary's. The guys wrapped up the show with a little state volleyball talk. Both Sidney and East Mills are in the state tournament. They talked about the regional finals. It's a fun show, as always. It's that time of the week! We're back for another edition of the SWISportsCorner podcast. It's Halloween time, so get your favorite candy and enjoy the show as the guys talk about everything going on in the Corner Conference. Of course, the guys started the show by talking about how all the holidays should be combined together into one day. How this is possible, isn't immediately known. The guys also talked about Detroit musicians for some reason. The guys got the Corner Conference discussion going with a quick recap of the state cross country meet. The runners had a good showing at state and there were a few things to talk about with the event. Afterward, the guys previewed the 1A and 2A regional volleyball finals that will be taking place all across the state, including the ones happening here in Southwest Iowa. The 1A final has East Mills against Essex, while the 2A final features Sidney versus Clarinda. Finally, the guys wrapped up the show with a discussion about the state football playoffs. The guys talked about last week's first round games, which included Fremont-Mills/Stanton. They wrapped up the show with a breakdown of the big quarterfinal which will be this Friday night between Sidney and Fremont-Mills. The postseason has arrived and the SWISportsCorner Podcast is ready for all the fun. Matt, Jason, and Andrew are back for another edition. This episode is short because someone wanted to catch the season premiere of "The Walking Dead." The guys started the show by talking about crackers for some reason. Jason is pushing really hard in hopes that the show can get a sponsorship from Triscuits. He mostly just wants to get some free Triscuit swag, whatever apparel that is. Afterward, the guys talked a little bit about the cross country season. The state cross country meet will be this Saturday and we do have a couple of state qualifiers competing. The guys then jumped right in and talked about the 8-man state playoff bracket. There was certainly much to discuss, including the first round match-ups in the area. Finally, the guys wrapped up the show talking about the volleyball regional quarterfinals, which are set to take place Monday night. There was a lot to discuss in a short amount of time. Check it out! Matt, Jason, and Andrew are back for another packed edition of the SWISportsCorner podcast. The guys talked about quite a bit. With the postseason essentially here the guys talked briefly about cross country before discussing volleyball. Regionals start Tuesday night and there was much to discuss in regards to that topic, as well as discuss the final week of the regular season. Finally, the guys discussed the football season. The playoffs will be here soon. There is set to be some really interesting week 9 games. In between all the sports talk, the guys talked about Texas and also about why Greg Brady is such a screw-up. We're not sure how Greg Brady would screw up this podcast, but we figure he would somehow. Ahhh yes, it's time for another edition of the SWISportsCorner podcast, starring Matt, Jason, and Andrew. The three guys are back for another fun show. Jason wanted to get a few things off of his chest in regards to cross country. From there, the guys turned the focus to the volleyball season as they talk about the Corner Conference tournament, which occurred last week. There were a few things to talk about with the tournament. Plus, the guys talked about the volleyball regionals. Afterward, the guys talked about football. The postseason is much closer than you think. The guys offered their thoughts on what to expect as the season hits the final stretch. Check it out! It's October. That doesn't necessarily have much significance for the SWISportsCorner podcast, but hey it's worth mentioning. Matt, Jason, and Andrew are back for another edition of the podcast. The guys started out the show talking a little cross country. Jason went to the Shenandoah meet and gave a few updates about the event. Afterward, the guys talked about the Corner Conference volleyball tournament which kicked off Monday night. There was a lot to talk about with the volleyball season, plus what they think might happen. Finally, the guys talked about the football season and even talked a little bit about the dreaded "p" word. There's a lot of big games Friday night and we should have a clearer playoff picture after this week's games. After a week off, Matt, Jason, and Andrew are back for another edition of the SWISportsCorner podcast. The guys start out the show talking about the volleyball season, which continues on with some big matches this week. The Corner Conference tournament is next week as the guys talk about the big contenders. They also got caught up on the football season as there was quite a bit to talk about. They did recaps of the last couple of games and even had some discussions on the postseason. As per usual, the guys talked about other random things, including weddings, which for some reason forced Andrew to dive into his ice cream (it did NOT!). It's a pretty fun show, so give it a listen. We're back with another podcast. Matt, Jason, and Andrew got together to discuss the latest in high school football. Matt talked about the Sidney/Exira-EHK game, while Andrew went to the Essex/Clarinda Academy game. There was a lot of football to talk about. The guys also talked briefly about the high school volleyball season as the season starts to pick up steam. The guys, of course, started the show out of nowhere, talking about Andrew's affinity of making up morning show names. It's a fun time, so check it out. The guys are back with another podcast that was taped over the weekend. Matt, Jason, and Andrew spent most of the time talking about high school football. 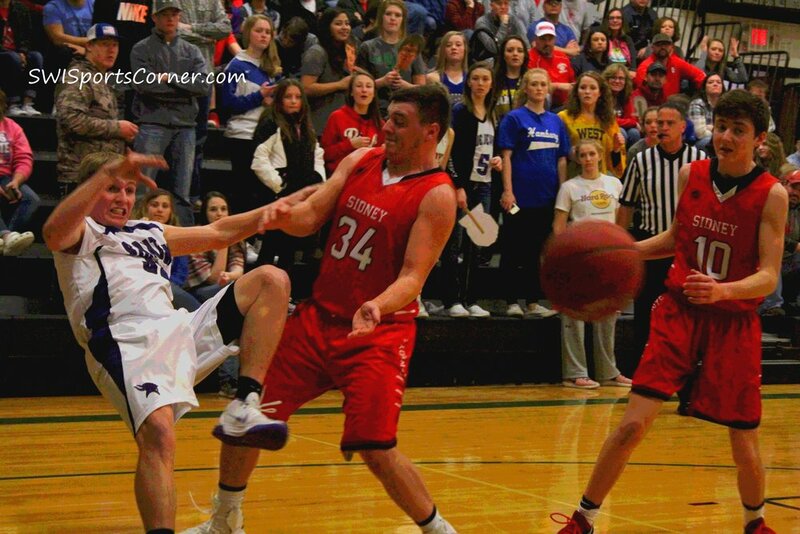 The biggest topic at hand was the classic battle between Stanton and Fremont-Mills. Both Jason and Andrew happened to catch the game and gave their thoughts on how everything went. Of course, the guys talk about much more in between all the games. Check it out for yourself! The boys are back for another edition of the SWISportsCorner Podcast. Matt, Jason, and Andrew spend most of the podcast discussing week one of the high school football season. There was obviously a lot to talk about. They focused on a few of the storylines. Matt and Andrew both went to Malvern to see East Mills play Stanton and gave a few thoughts on that game. The guys do wander off into talking about mascots, among a few other things. Once again, it's a pretty fun show. Matt, Jason, and Andrew are back for another edition as we get closer to the start of the fall sports season, which believe it or not, does start this upcoming week with week zero games in football. The boys start out discussing a little rap music before talking about what the quintessential Chicago movie is. It is a pretty fun show, even if it had to end sooner than expected. The long wait is over, the SWISportsCorner Podcast is finally back. In a way, this was all like a summer vacation. Matt, Jason, and Andrew all got together last weekend to wrap up the 2017 summer season and ultimately the 2016-17 high school sports year. We meant to get this up a little sooner, but there were technical difficulties. The guys announced the Baseball and Softball Players of the Year and wrapped up the show with the announcements for the Male and Female Athletes of the Year. In between, the guys talked about everything and anything. The discussions went from underground tunnels and bunkers to throwing sandwiches at Matt (the two are not related, we promise). With fall sports around the corner, the guys are getting ready to get back into the new season. It's time for another edition of the SWISportsCorner podcast. Matt, Jason, and Andrew are back for another edition that features discussions about a lot of things, plus sports. The biggest sports topic is of course the state track qualifiers. The guys go over the list, talking about all the events and all the qualifiers. The list of those Corner Conference qualifiers can be seen here. Matt and Andrew both give their thoughts as they also talked a bit about what they saw at the state qualifying meet, last week. The podcast had other discussions, including music and non-movie roles. Plus Jason talks about Nebraska City for some strange reason. There's even a touch of Mother's Day in the episode, since the podcast was recorded on Mother's Day. (It was recorded at night). It's a fun episode, so go ahead and give it a good listen.